Lush green mountains, beautiful beaches, and amazing scenery. That’s what St. Lucia is known for. So why not pack your bags and take that vacation, but wait there are a few things we have to keep in mind for the kids and teenagers. We have listed the best kid-friendly resorts in St. Lucia for a safe and fun trip. Coconut Bay Resort and Spa offers Cocoland Kidz Club. A place where kids from a newborn baby to a 12-year-old kid are welcome. This hotel offers to babysit children from after 5 pm and onwards at a rate of $12 USD per hour and an additional $20 after 11 pm for transportation for the staff. Coconut Bay is the only resort that has babysitting programs for kids as young as under 3 months old. In addition to these services this resorts also has an awesome water park, mini zip line ride, mini rock climbing, movie night and so much more. So if you are looking for a resort with something to do for both you and the kids, this is the one for you. St. James Club Morgan Bay offers kids club for potty trained children from 2 to 11 years old, so you can have some grown-up time. Kids club offers activities like jewelry making, tie-dye, face painting and so much more. There are so many activities, the kids will never want to leave. The resort also offers babysitting services from 7:30 to 10:30 pm where the kids can enjoy a night of Karaoke, mini disco, Wii games and much much more. The Landing Resort and Spa gives you the peace of mind of having your kids occupied while you enjoy some well deserved time off. With their kids’ club, the kids will have a day of fun and sun. This is a complimentary program that is available for kids from the ages of 4 to 12 daily from 9 am to 5 pm. They can engage in activities such as picnic trips to pigeon island, fishing by the bay, outdoor games like cricket, volleyball, treasure hunts and so much more. Also available to you are babysitting services at an extra cost if you want to have a romantic evening together. Bay Gardens Beach Resort offers coral kidz club. A new feature that was added to the resort because kids need to have fun too. The coral Kidz Club offers a range of fulfilled supervised activities like crab hunt, arts and craft nature walks, table tennis and beach games for kids ages 4 to 12 years old. That’s not all, along with the Kidz club this resort offers fun for the whole family with the splash island water park being steps away from the resort and being a guest at the hotel, you get complimentary passes. This resort also offers babysitting services if you want to have some adult fun for an extra cost. Book your family vacation today. They have got you covered. The Windjammer Landing Villa Beach Resort offers Jacquot Fun Club for kids from 4 to 12years old. This kids club come with an array of activities. Kids can enjoy a full day of fun every day of the week whiles parents have some alone time. Activities include pool parties, basketball, historical trips, pirate night, talent night and so much more. Some of these activities are at an extra cost. There is also babysitting service for kids 4 years and under at an extra cost, so if you need a break or some sleep from your 4-month-old, they have got you covered. You can definitely compare prices of the resorts here if you want to see more of which is best for your family. As you can see, there is a good range of different kid-friendly resorts in St Lucia to choose from. 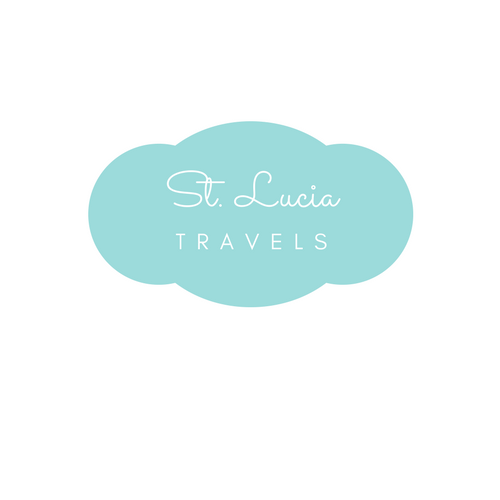 Don’t forget to pin this to your St Lucia travel board. Really want to go. And the places look amazing. Great post!! !